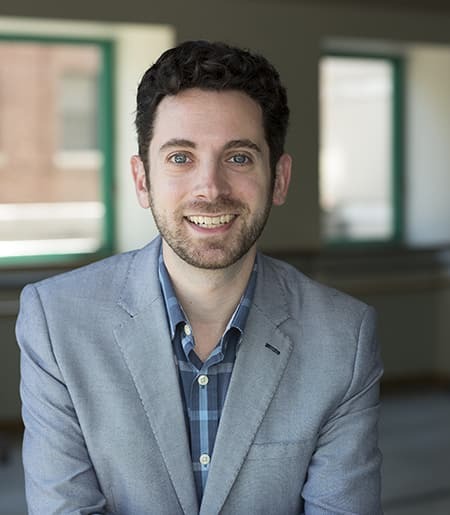 Nick Salvato (A.B., Princeton University; Ph.D., Yale University) is Professor and Chair of Performing and Media Arts, as well as a member of the graduate faculty of English. He has published articles in such journals as Camera Obscura, Critical Inquiry, Journal of Dramatic Theory and Criticism, TDR: The Drama Review, and Theatre Journal. His article, "Uncloseting Drama: Gertrude Stein and the Wooster Group," won the journal Modern Drama's award for Outstanding Essay of 2007. This piece is adapted from his first book, Uncloseting Drama: American Modernism and Queer Performance, published in 2010 by Yale University Press as part of the series Yale Studies in English. Likewise published in 2010 was "Gossip," a special issue that he guest-edited for Modern Drama, where he was book review editor from 2010 to 2014. His second full-length book, Obstruction, was published by Duke University Press in March 2016 and investigates the surprising intellective value of five putative impediments: embarrassment, laziness, slowness, cynicism, and digressiveness. A first pocket monograph, Knots Landing, was published as part of Wayne State University Press's TV Milestones series in spring 2015; and a second pocket monograph, Television Scales, is forthcoming from punctum books in spring 2019. This latest project demonstrates how the problem of scale in the field of television may be turned into a resource and a method for a television studies that would pay better attention to messy medial complexities, peripatetic critical practices, and vulgar psychogeographies. Nick Salvato's approach to the study of performance, media, and culture is guided by a combination of close analysis, archival research, and theoretical argumentation. More specifically, he seeks to elaborate, complicate, and extend the purview of ideas about the modern, the minor, and their relationships to one another. In a variety of ways and contexts, he focuses attention on performances and media, representational practices, discourses, and dispositions that are figured (often dismissively) by critics as minor or that announce themselves deliberately as minor; and at the same time, he considers the ways in which the concept of minority influences or defines the modern, even as minority conceals the centrality of its definitional power and influence. Thus the objects of his scrutiny include theatrical modes and genres that have been deliberately positioned as minor (closet drama) or dismissed by critics as minor (melodrama, parody, soap opera); survivalist forms of expression (camp) and species of discourse (gossip) that have been deployed by minoritarian subjects; aesthetic distinctions (amateur, kitsch, trash) by which cultural artifacts have been pejoratively categorized as minor; periods and styles of performance (early American theatre, the musical) that have been treated as minor in the university classroom; and figures and types (fag hags, tramps) whose marginalization and minorization have rendered them largely illegible in or unavailable to humanistic scholarship.